Artists fill notebooks with drawings using a range of mark-making methods from burnt sticks (charcoal), lead and coloured pencils to ink pens and colour washes. These can be renderings that replicate the subject in ways that a camera might. They can be of details and juxtapositions of elements. Or they can be quick-made glimpses full of emotion and movement that come not so much from the subject itself but rather from the artist’s response to the inspiration created by what they witness. Later in the artmaking process the artist retrieves these references and in the studio space with the grander media of canvas, metal or expanses of paper the drawing’s trace is carefully made and through the application of pigments applied by brush and palette knife or engraved, etched, inked and pressed. Here a ‘real’ artwork is made. Yet, underneath the final artwork the reference drawing resides – hidden. 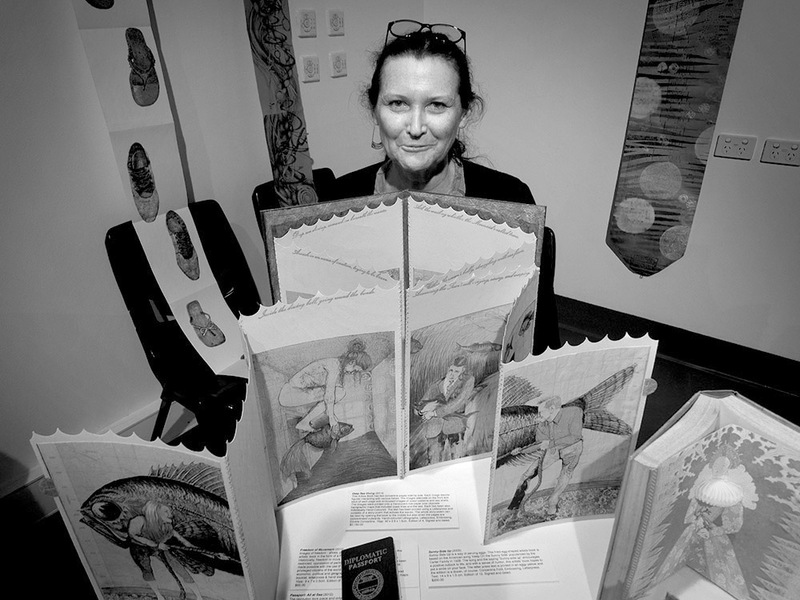 The secret hidden ‘art’ of the artist’s drawing has for 30 years been the focus of the biennial Jacaranda Acquisitive Drawing Award (JADA) at the Grafton Regional Gallery (GRG). In this award the drawing is revered not as an aide-mémoire for the artist’s later work but rather as the product of a deliberate creative and expressive artmaking activity. The award seeks to encourage and promote innovation and excellence and plays a vital role in fostering Australian drawing practice. The … collection exemplifies the developments and changing parameters of contemporary drawing since 1988. The collection explores the way that drawing resonates as a contemporary medium, demonstrating the relevance and strength of drawing. Works in the collection offer a varied and extensive overview of drawing ranging from highly resolved articulate works to spontaneous expressive works that are mostly retained on the conventional support of paper. … the collection has attractively developed through the tastes, opinions and approaches of the various judges into a collection that is compelling, thought provoking, innovative, exuberant, and diverse. For those interested in artists in their practice of drawing a visit to the GRG will reveal all. In 2018 fifty-five artworks were selected from 498 entries by a pre-selection panel of suitably qualified persons. 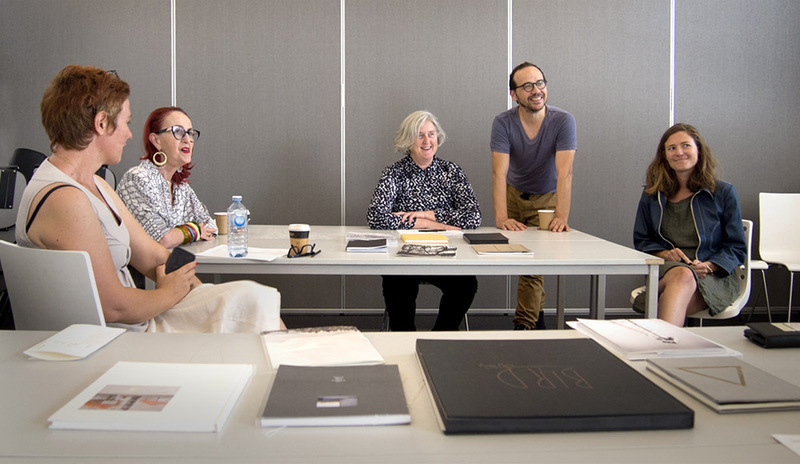 The selection of the major JADA award as well as acquisitions for the gallery’s drawing collection were adjudicated by Anne Ryan, Curator of Drawing, Prints and Watercolours from the Art Gallery of New South Wales. 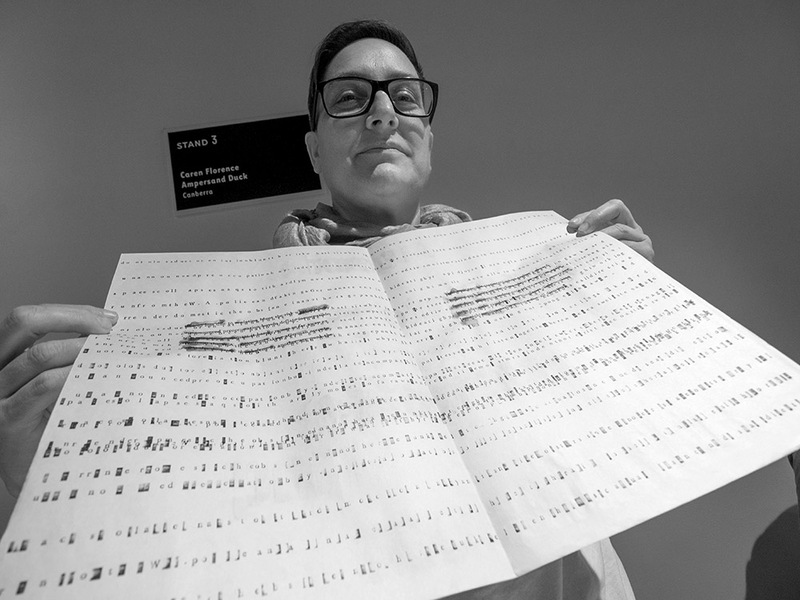 The winner of the $30k 2018 JADA award was Todd Fuller, a Sydney based artist with his work titled Ode to Clarence as described in the Gallery’s website as: a hand drawn and painted animation, created during a residency at Grafton Regional Art Gallery. The work deals with the current issues in Grafton associated with the building of a new bridge connecting the city with the highway. Through a digitally presented narrative relating to the disruption to the community caused by the terraforming, street changes and house demolitions caused by the bridge building. The work is created as a continuous drawing in parts. Some may question how this work is classified as a ‘drawing’ as we usually encounter a drawing as a static artwork in a notebook, on paper or in a frame. As such time-based digital media presentations and other such works present a challenge to the traditional paradigm. These digital media ‘drawings’ may be documentation of drawing projects or of performances commenting on the concept of drawing. As we know there is a significant history of animated drawings presented as moving picture films. It should also be acknowledged that documentation by video might also make visible a drawing work in transformation. Though it might be asked how do these works ‘fit’ with the term ‘drawing’? And when does a drawing cease being a ‘drawing’ and become a work in the discipline of animation or digital media? Interestingly Fuller’s drawing work uses a technique similar to that used by the artist Blu in his famous street graffiti video documentary MUTO. Blu describes his work as: …a seven minute animated mural. Thoughts such as these will no doubt occupy the minds of many visitors to the JADA exhibition as it travels around the eastern seaboard over the next two years. Whatever the outcome for such thoughts ultimately JADA has provided an important biennial review and space for critical commentary and reflection on the discipline and has stimulated this enquiry. The award also reveals and makes visible the work of artists, it shares their stories and ideas through the discipline of drawing – perhaps the oldest of all human creative endeavours. Claire Primrose Assembled Landscape 3. Apart from the Gallery exhibition in late 2018 the JADA will tour regional galleries over the next two years to the following venues; Manning Regional Gallery, Hervey Bay Regional Gallery, University of the Sunshine Coast Gallery, Griffith Regional Art Gallery, Latrobe Regional Gallery and the Tamworth Regional Gallery. Many artworks have been photographed to show the nature of the framing and matting of the work. In March this year we were approached by the Editor of IMPRINT MAGAZINE, the journal of the Print Council of Australia to write a piece about regional galleries and the national awards that they coordinate. 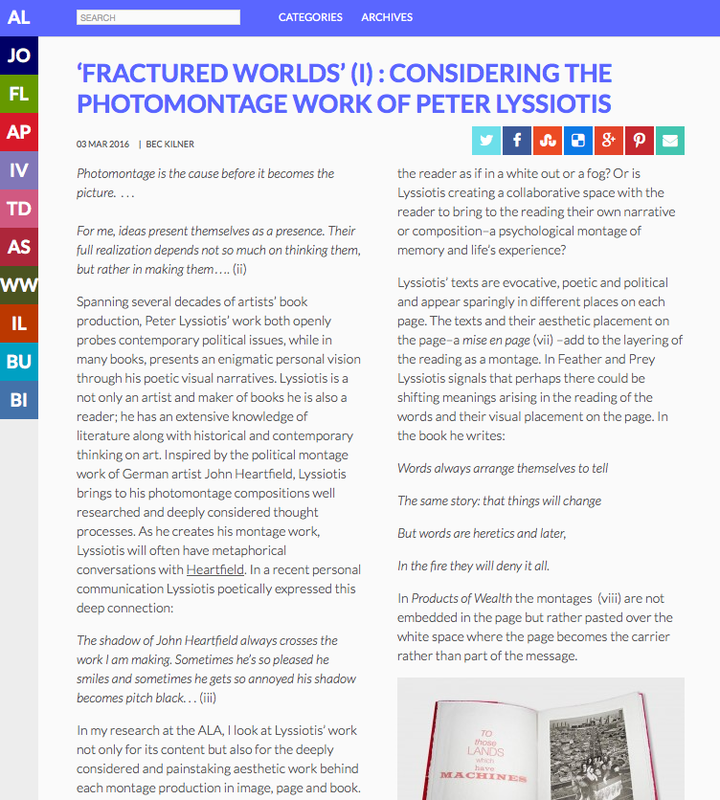 Of particular interest to Editor Andrew Stephens was Artspace Mackay’s Libris Awards: National Artists’ Book Award, and Mornington Peninsula Regional Gallery’s National Works on Paper Awards. We were familiar with both awards events and in particular we’ve had a long connection with the Libris Awards as entrants and reviewers. In 2017 we visited the Mornington Peninsula Regional Gallery as viewed and exhibition of works from their awards. Many of you will also be aware of our interest in, and support of regional art so we were excited by the opportunity that the commission provided. We set about to prepare the commentary and to add extra voices to the piece we contacted some artists who have significant participation in regional arts awards. What follows is the article with the 4 page layout and photographs followed by the text, references and acknowledgements. The art gallery is a place for presentation, display and the sharing of art. 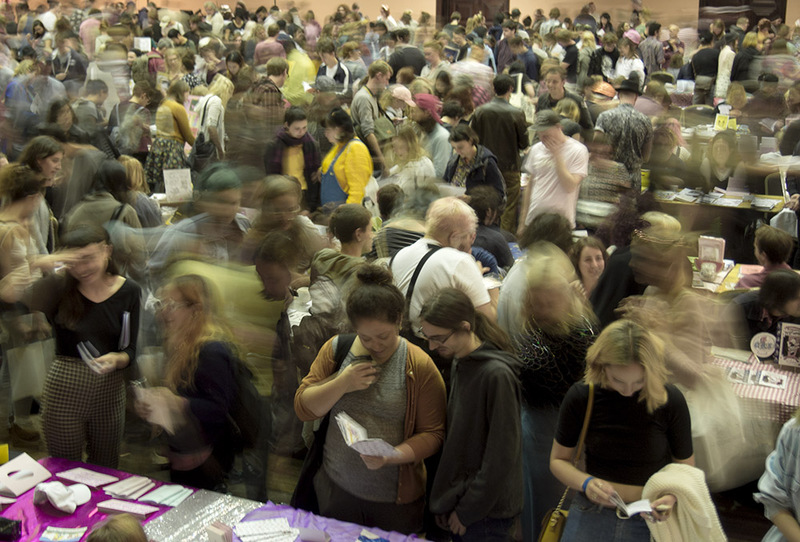 It is a space that orchestrates the development of cultural discourse by connecting the world of the artist with an art-interested audience including members of the public, art students, the artist’s peers, curators, critics and collectors. Big city art galleries can mount blockbuster national and international shows and also cover a diverse range of disciplines that regional galleries cannot ever hope to match. The regional gallery can however specialise in key areas of activity and collection by including in their programs discipline based national awards. These galleries also aren’t so constrained by orthodoxy and can open up the dialogue leading to more widespread changes. Through the awards they can push boundaries and help to define what is contemporary in various disciplines. Two noteworthy regional galleries and their specialisations are Artspace Mackay (AM) has the Libris Awards: National Artists’ Book Award (Libris) and Mornington Peninsula Regional Gallery (MPRG) has National Works on Paper Awards (NWOP). To ensure the currency of the entries both awards are offered biennially with a requirement that the works entered must have been completed within the preceding two years. Each gallery has a particular focus for their award. The Libris Awards provide Artspace Mackay with: ‘an opportunity to become known as a centre for artists’ books; we develop/build meaningful relationships over many years with artists; the award attracts the latest and best works from artists in the field and introduces us to new artists; and provides us with a wonderful opportunity to acquire new artists’ books for our Art Collection by leading artists in the field’. At the Mornington Peninsula Regional Gallery the NWOP’s role ‘is to support and promote contemporary Australian artists working on or with paper. Works may be executed in any medium on or with paper… The paper must act as the main two or three-dimensional support of the work’. These Awards provide a testing ground for the new ideas, current aspects of technique and new/contemporary themes as well as many other art practice related opportunities. Sasha Grishin, in his ‘Judges Notes’ the 2016 Libris Awards commented that: ‘The contemporary artists book is characterised by boundless freedom’, and adds that: ‘… it has absorbed many conceptual frameworks, many art mediums and technologies and goes across the spectrum of the senses’. 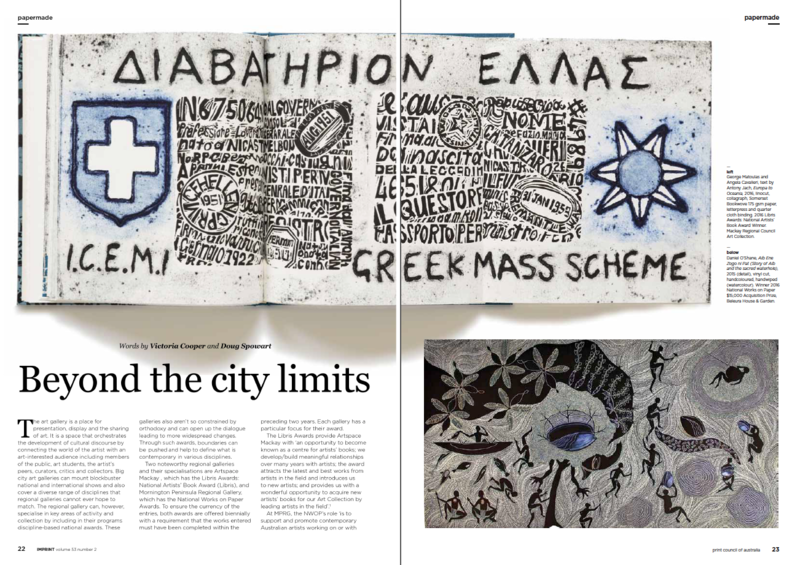 Entries in the NWOP Awards also exhibit Grishin’s ‘boundless freedom’ as MPRG Director Jane Alexander states in the 2016 catalogue: ‘Through printing, drawing, folding, sculpting and collage, paper is at the forefront of artistic experimentation… increasingly we are seeing this practice pushed to new and exciting dimensions’. 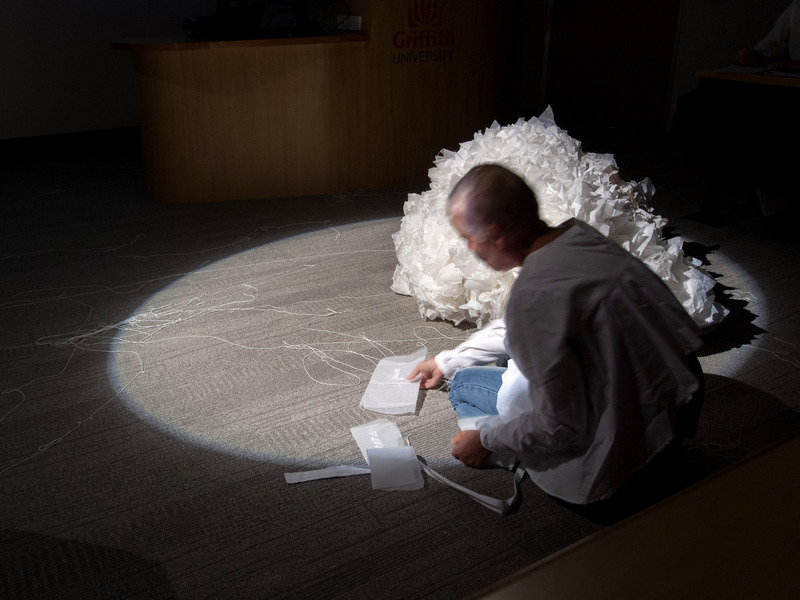 Much of an artist’s life can be isolated making it difficult to connect with a broader community of practice, which can also be fractured by physical distance and conceptual difference. Therefore artists see these awards as an opportunity to present their most recent work. They seek the recognition that comes from selection and being shown in the awards’ survey exhibitions. This acknowledgement also locates them in a review of contemporary practice specific to their discipline. 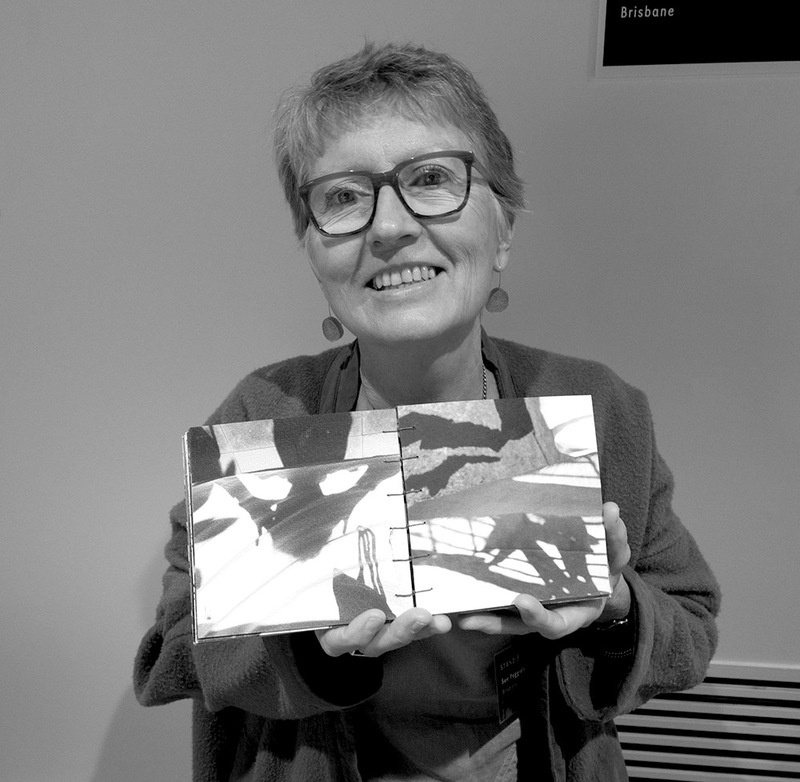 Nationally respected printmaker and artist bookmaker Dianne Fogwell generously shared with us the three main reasons she entered awards: ‘1. To stay abreast of who is professionally working in my field and 2; so that my contemporaries know I am still working professionally in my field and 3; I can enter work that does not suit the gallery exhibition either through content or scale’. There is also the potential benefit of exposure, critical review and for some the financial reward of purchase or winning a major award. It should be noted that both the Libris and NWOP receive significant sponsorship and support from range of sources to make possible their awards. Deanna Hitti won the 2008 Libris Award and the 2009 Books Beyond Words Award held by the East Gippsland Art Gallery. 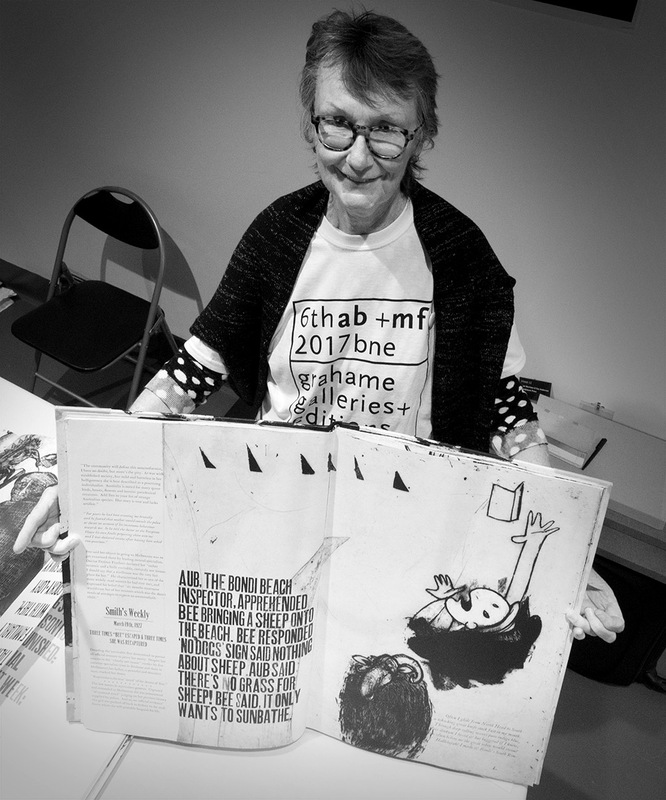 She comments that, ‘I am quite fortunate to have been the recipient of two major Australian artist book awards in consecutive years… My whole arts practice gained exposure and in a way it validated my work and presented a path to promote my work through’. The choice of appropriate judges for these awards is critical as through their decisions a continual review of the nation-wide practice of the award’s associated disciplines is carried out. 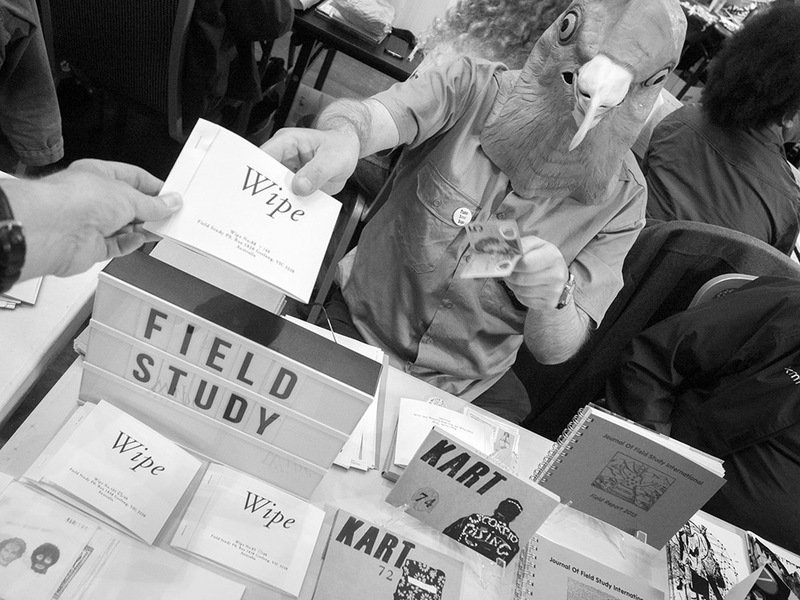 The selected judges for the Libris and NWOP come from major collecting and exhibiting institutional backgrounds and are widely respected within their specific disciplines. Other awards may have judges who are also acclaimed artists, art critics and teaching academics. Before entering any awards the artist needs to consider their work in relation to the competition criteria and the judging process. In this evaluation some gritty questions tend to surface regarding how their work is to be considered by the selection committee and the awards audience. For example: How much is my art worth? Will the winner’s work need to appear comparable to the amount of prize money associated with the award? Will awards that favour the spectacular and immediately accessible works marginalise those that require time and focus? 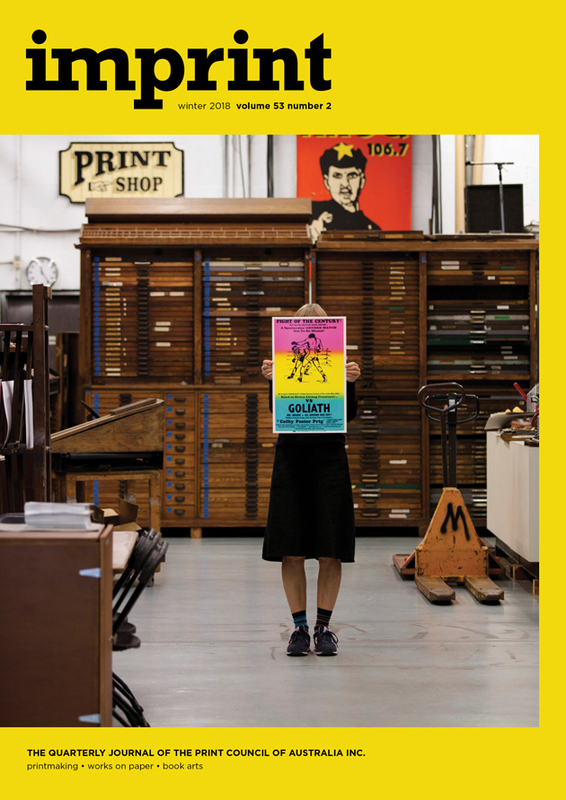 As the practice of book arts is very broad and varied, from book sculpture to fine press to zines—in rewarding a particular art form/s this could promote one form over many other worthy and incomparable works. If so this could narrow the potential for a variety of work to be accepted within the broader practice? To address questions of diversity, the two awards discussed in this article attempt to provide opportunities to recognise different mediums and the stages of the artist’s career. 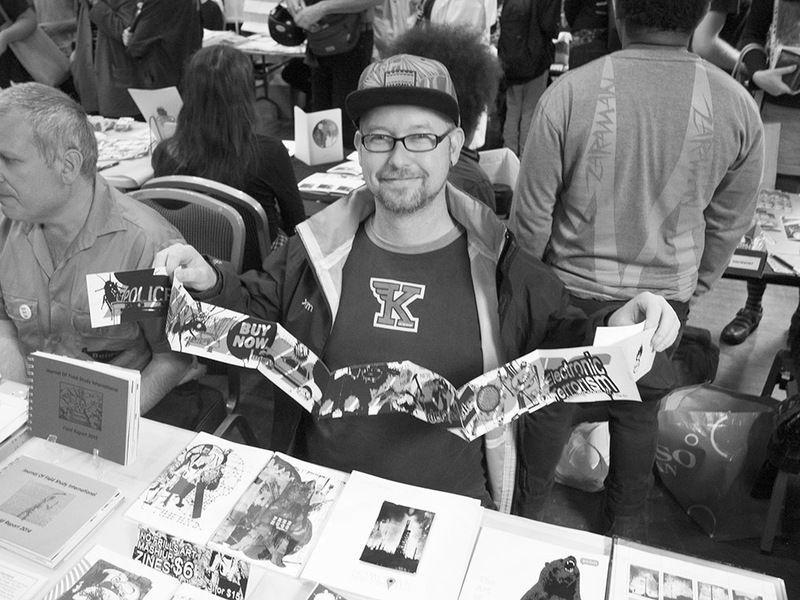 Libris has in the past offered a separate award for Zines, and have always included a local artists award. This year they are featuring the altered book. Both the Libris and NWOP also include emerging artists’ awards along with a budget to acquire a variety of other works selected for the exhibition. Another salient question for the artist to consider relates to the handling of the work and its display, particularly for unusual work, such as sculptural and installation works that are unframed. Many galleries may not have the capacity to appropriately display these works and still allow for quality public engagement. The Libris awards require that entrants include a document on how they would like work would be shown. This way the artist has to consider whether the work should be handled and how it will be placed in the gallery space. Although an important part of an artists career awards should not define them and their creative work potential. Dianne Fogwell presents a grounded perspective on how the award should influence the artmaking process: ‘Being selected as a finalist or to be the people’s choice or winning the award or prize gives you heart as making art is a lonely thing and more so the longer you do it. Does it make a difference to the way I make my work, no, has it made a difference to who buys my work, I hope not, as it is the work that’s important in the end’. To build an archive and history of these important survey events both Libris and NWOP create records of their awards in the form of catalogues and online in accessible PDF versions. Libris posted 2016 judge Sasha Grishin’s award notes and an illustrated list of works. NWOP has over the last two events, 2014 & 2016 published a physical catalogue and online versions as well. Additionally AM and MPRG can be contacted for further information on historical records. These archives add to the history of the award as well as a snapshot of the adjudicated contemporary practice in the disciplines at the time of the award and the value that collectors and the art market place on artworks. What may be interesting as an enhancement to any art award could be consideration for the creation of a democratic record of entry where all entries are listed in an online format to show the complete story of all artists who entered the award and their works. After the judgements have been made, the winners received recognition, the acquisitions completed and the remaining works returned, the exhibition may be over but the legacy of the awards lingers on. Through the initiative of the regional gallery, sponsor support and the contribution of artists, these awards create a fertile space where ongoing discourse can both challenge and shape the development of the art. 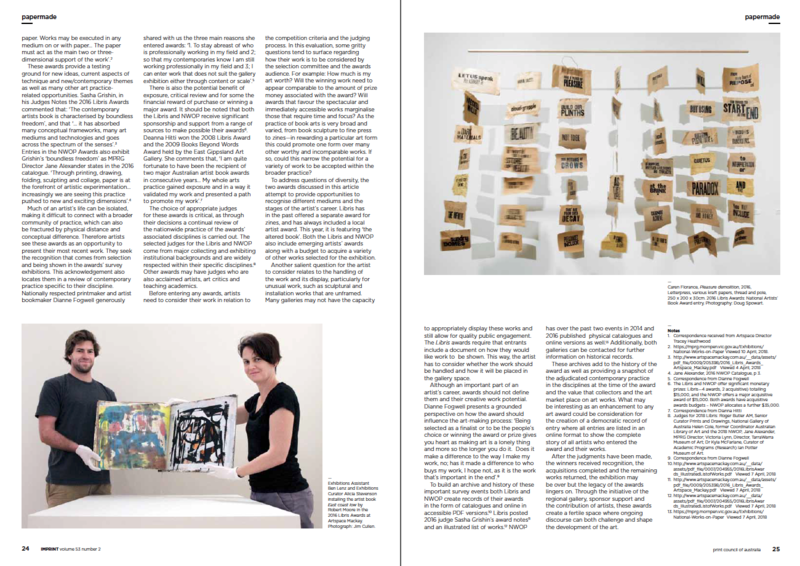 With thanks to: Tracey Heathwood Director Artspace Mackay and Narelle Russo MPRG Curator-Collections / Registrar. Dr Lyn Ashby, Dianne Fogwell, Deanna Hitti, Johanna Kambourian, Dr Clyde McGill, Dr Felicity Rea. https://mprg.mornpen.vic.gov.au/Exhibitions/National-Works-on-Paper Viewed 10 April, 2018. Jane Alexander, 2016 NWOP Catalogue, p 3. The Libris and NWOP offer significant monetary prizes: Libris—4 awards, 2 acquisitive) totalling $15,000, and the NWOP offers a major acquisitive award of $15,000. Both awards have acquisitive awards budgets – NWOP allocates a further $35,000. Dr Kyla McFarlane, Curator of Academic Programs (Research) Ian Potter Museum of Art. 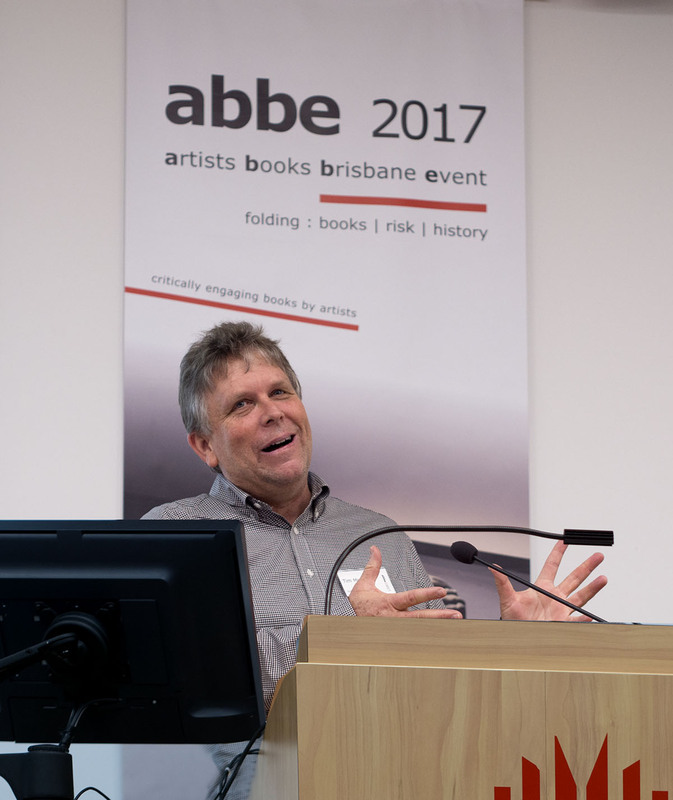 The second Artist Book Brisbane Event (ABBE) promised an academic conference dealing with the artists book as a folded and risky space. 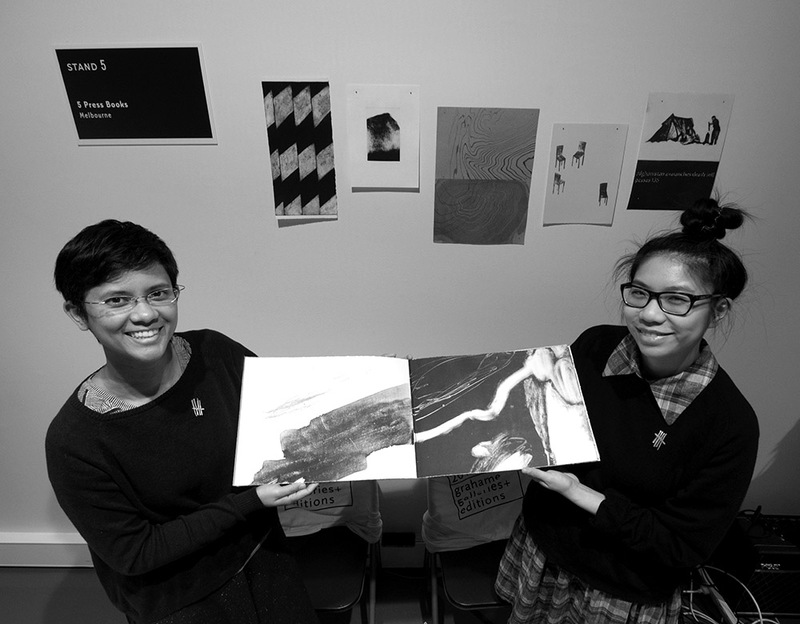 The event consisted of three elements at the Queensland College of Art and a fourth satellite pop-up exhibition at the State Library of Queensland. 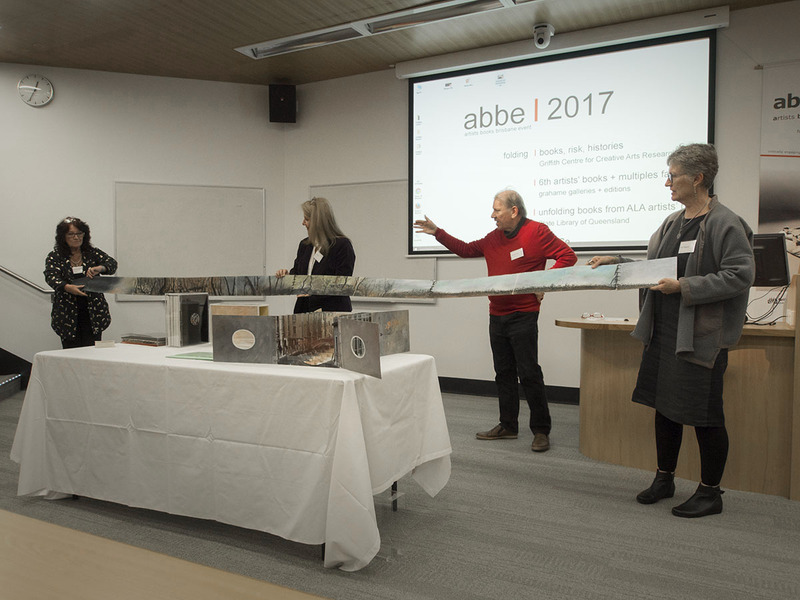 Drawn to ABBE 2017 were artists bookmakers, thinkers, commentators, teachers, lecturers and tinkerers from across Australia. 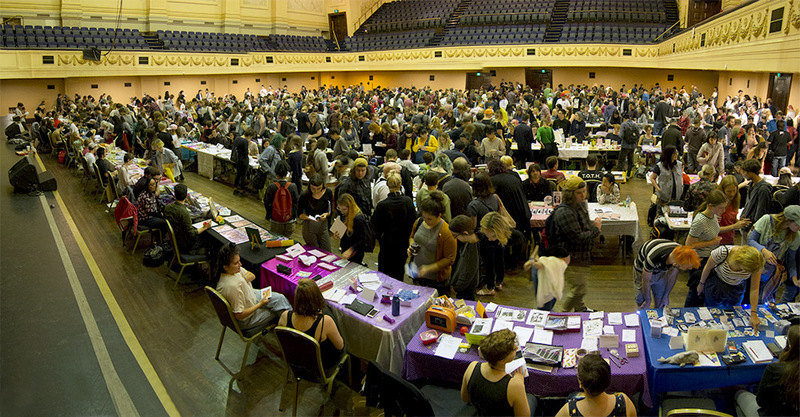 All came with a desire to contribute to, or participate in, perhaps this Australia’s penultimate artists book gathering. The event was convened and chaired by QCA lecturer Tim Mosely and was launched by Griffith University’s Dean Academic, Arts, Education and Law Professor Ruth Bereson who spoke about the book as art and the need for that the discipline has for scholarly discourse. 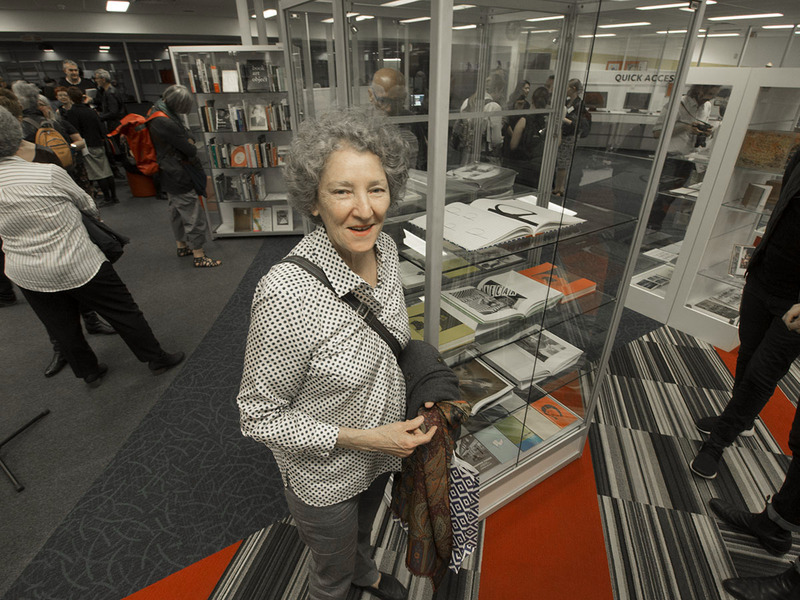 She commented that the Griffith Centre for Creative Arts Research ABBE program and its connection with Columbia University’s JAB (Journal of Artists Book) publication of selected papers would contribute to this discourse. Significant keynote speakers, Uta Schneider and Ulrike Stoltz from Germany and Clyde McGill from Western Australia headlined the event. Other program contributors came from practitioners, academic staff, students, and recent graduates from institutions in the USA, New Zealand and around Australia. 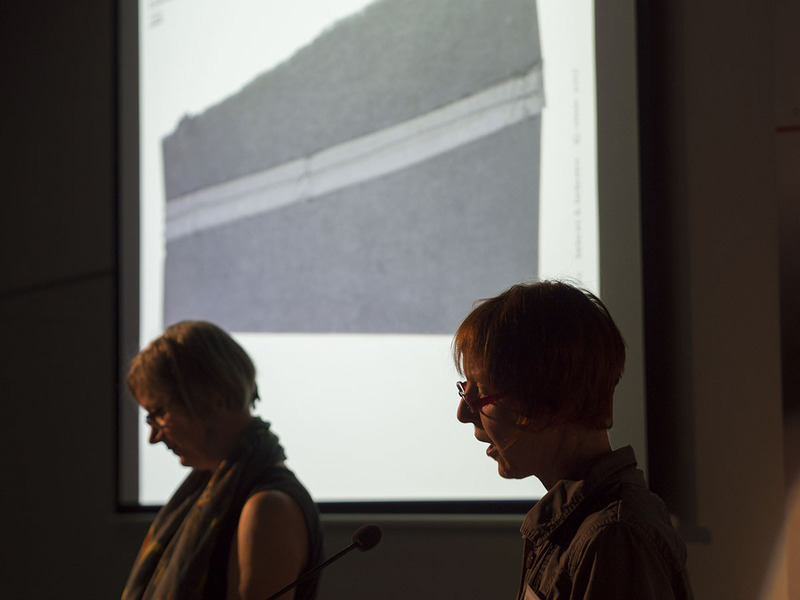 The first keynotes were Uta Schneider and Ulrike Stoltz who presented a paper entitled betwixt & between. Presenting in tandem their voices were almost like a turning of the pages – recto and verso. They teased out and formed the conference theme of ‘folding’ into an ordered analysis of the physical and metaphorical ways that books fold. 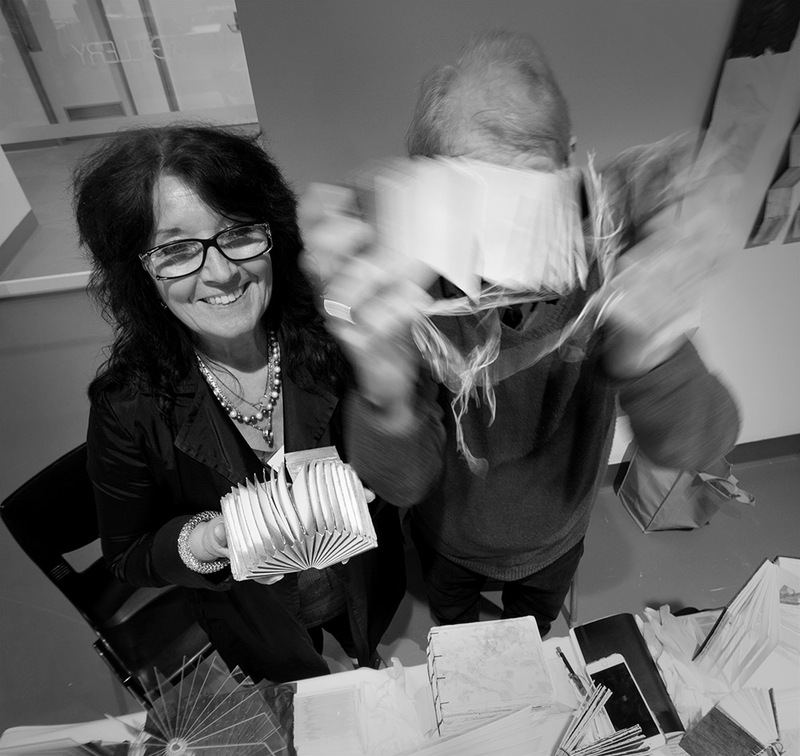 They connected the theme ‘folding’ with their own individual and collaborative works and the concepts, philosophies and discussions about artists books that informed them. Mythology, Martin Heidegger on contemprality and the ekstaticon, Carrion, Gillies Deleuze and ‘thinking means folding’ and Michel Serres and ‘the crumpled nature of time’. The works they illustrated their paper with were refined and exquisitely designed. They featured wordplay and poetry, folded page spaces, transparency using ‘show-through’, typography and graphic design elements. As an introduction to the topic, the hour long presentation provided a solid and exciting insight into ways of considering the fold, its forms and the way it can connect with the reader, as receiver of the communiqué. While most papers were read from the dais with carefully illustrated PowerPoint slides the second keynote speaker Clyde McGill emerged on the stage with a device that could be called a ‘bibliophone’. McGill had altered a range of book titles by folding back the pages and attaching a sound pick-up to the book cover and then connected the 7 books to an amplifier. 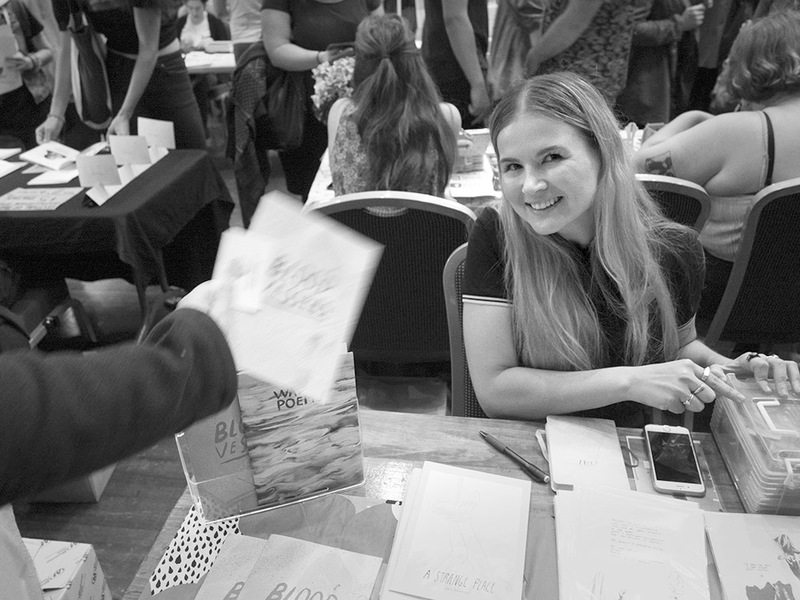 Volunteers from the audience were given bonefolders as plectrums and, on McGill’s guidance were instructed to make the various movements of hands and object associated with hand-making a book. The haptic actions were converted to sound and the room filled with the noise of ‘making’ associated with a great deal of laughter. McGill continued his presentation with a detailed investigation of the idea of folding books. Where possible his own works were referenced. At other times he created new books by playful investigation… bending and folding light was a particularly humorous but gave those present an insight into how the artist’s off-tangential and obtuse thought processes process can lead to new conceptual and visual discoveries. Another departure from the read-the-paper format was a performance by Julie Barratt and her sister Virginia Barratt. 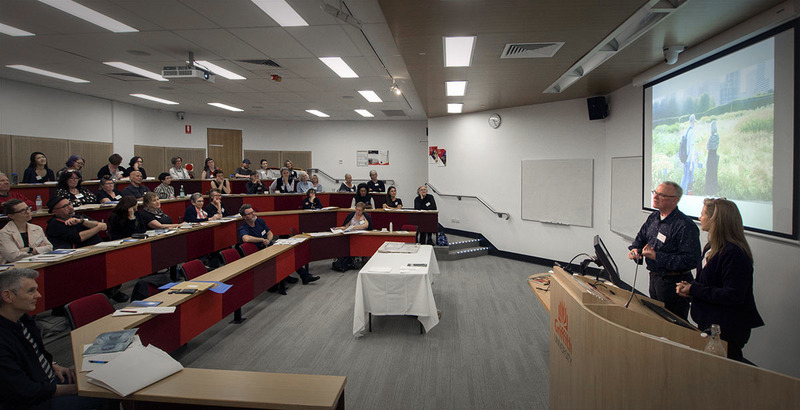 Attendees, on returning to the lecture theatre after morning tea, found the space darkened except for two sharply defined spotlit circles. 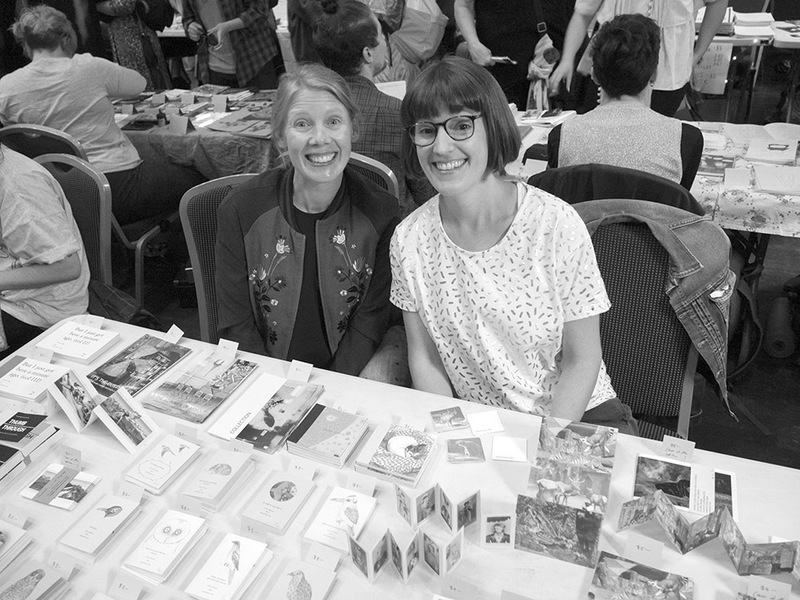 One pool of light was vacant, just the floor’s carpet – in the other artists’ book maker Julie Barratt was busy unfurling paper, measuring it and tearing of lengths and positioning them in a stack on the table before her. Also on the table were scissors a ball of thread and other bookmaker’s things. The unroll>measure>cut>position sequence was progressing methodically for some time making the sheets one might guess that would go to making a book. A soundtrack began with a female voice expressing thoughts ideas, word associations sometimes repeated – perhaps the thoughts of the bookmaker? There was a rustling sound – stage right. Gradually a large dome-like white shape appeared and moved towards the empty spotlight area. The shape was covered in what looked like pages – ominous maybe… the audio continued and Julie Barratt left her table and proceeded toward the shape and picked up a folded sheet and returned to the table – flattening out the sheet it was melded with other sheets. The performance continued. What was it about? What came to my mind was that the shape was like the book working with Julie so its story could be told as in Paul Carter’s ‘material thinking’. 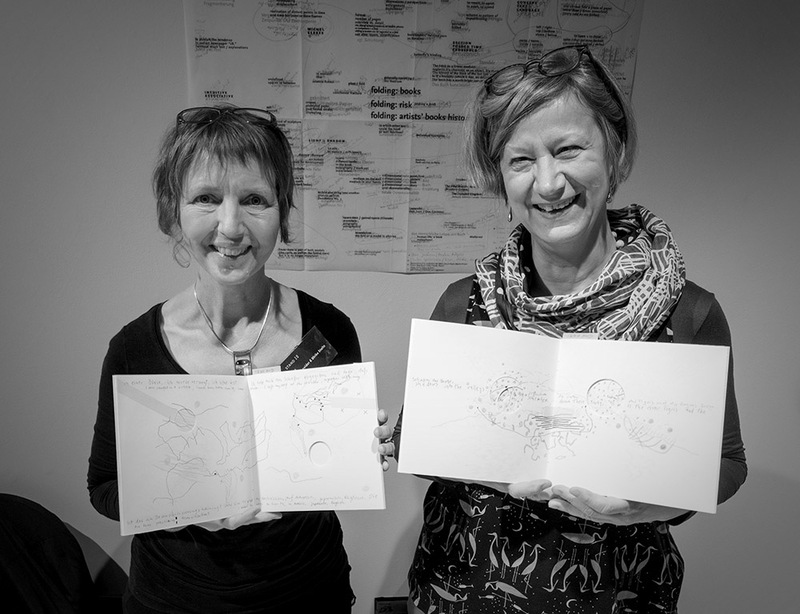 At the end of the performance it was revealed that Virginia Barratt, Julie’s sister, was the artists book ‘monster’. Another aspect of the conference presentations were two papers by photographers Ana Paula Estrada and Isaac Brown both featuring bookwork’s that they had created. 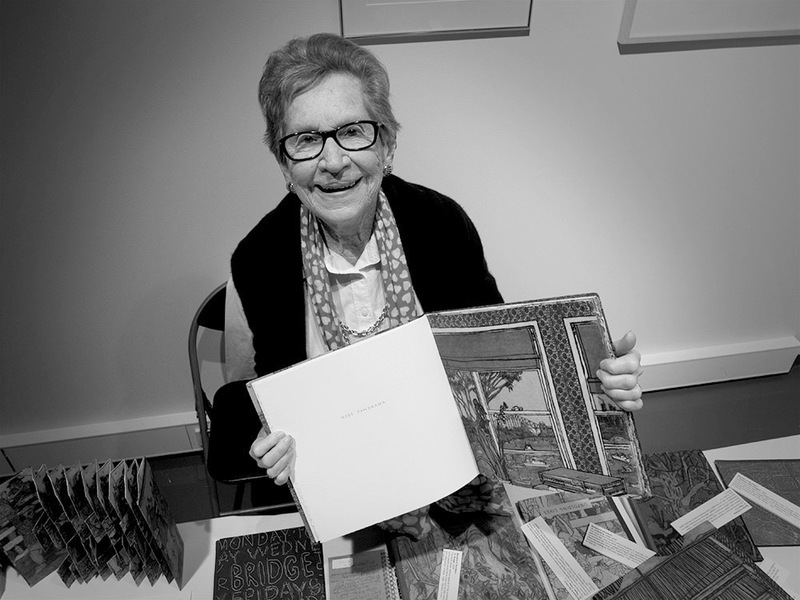 Estrada, as a State Library of Queensland Siganto Foundation Creative Fellow, discussed concepts of memory, photography and old age as the inspiration for her project. She detailed the process of design, making maquettes, refining and working with commercial printers and binders to complete the project. Brown spoke of the integration of his project and PhD study focussing on his relationship to his father, a Vietnam veteran. Aspects of text and dialogue were addressed as well as Brown’s own recent fatherhood. 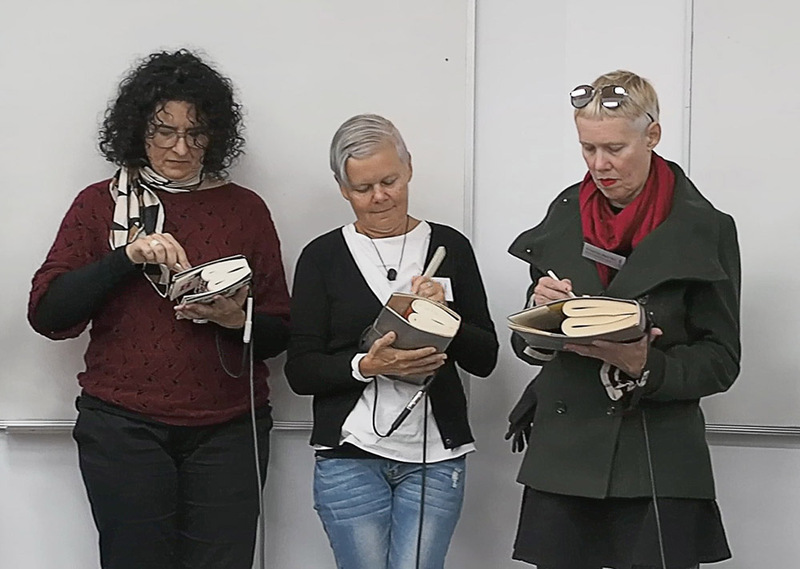 What was interesting was the informal narrative and connection with audience that both presenters had and the expanding space of the artists book being inhabited by photographers. 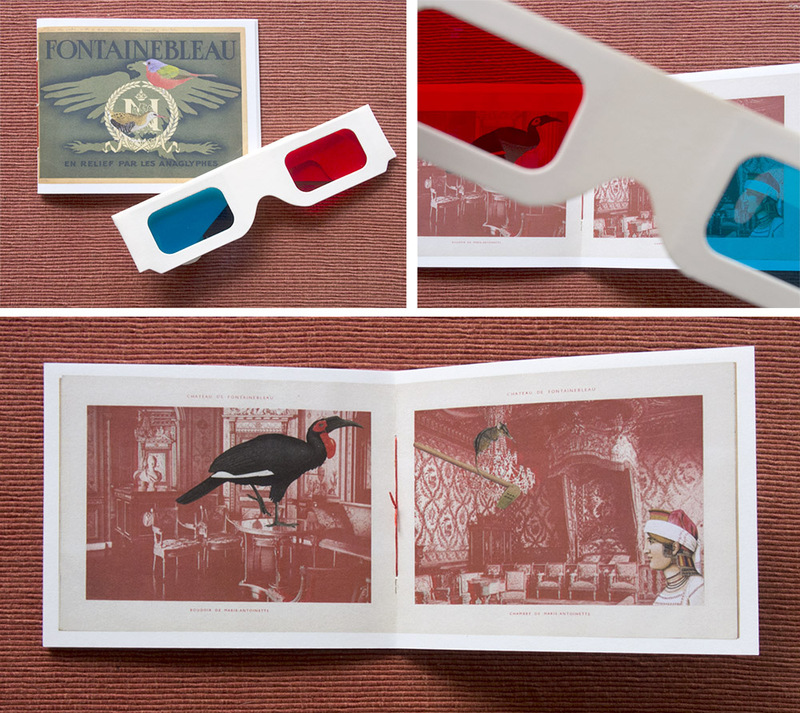 Wim de Vos made an animated presentation and several helpers as his concertina books by the metre unfolded across the width of the theatre and tunnel books expanded, evidence of the pre-eminence of his artists book practice in Queensland. Midway through the academic papers a ‘plenary’ session consisting of a panel of artists’ book ‘movers and shakers’ discussed several issues relating to the discipline. The session quickly became absorbed with the perennial issues of nomenclature, the dearth of private and public purchasers of bookworks and the grooming of possible artists book collectors. 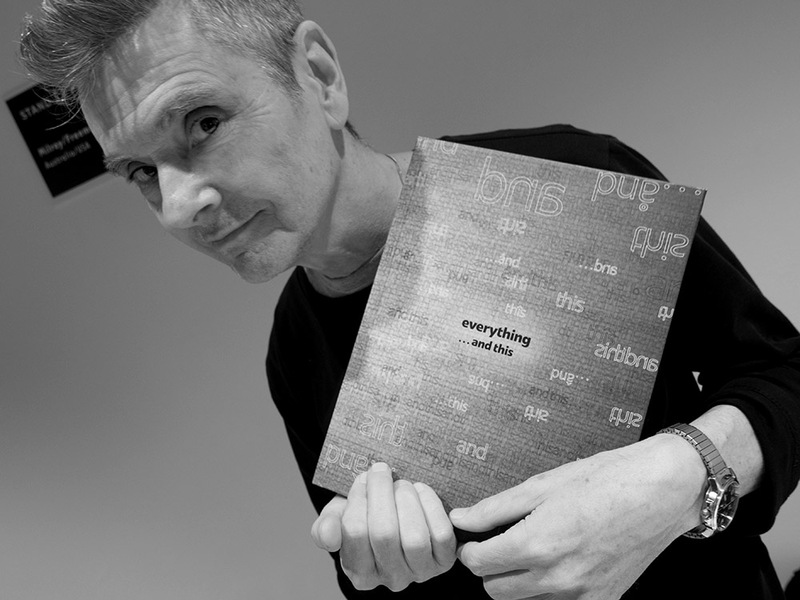 The impact of the term ‘Art Book’ was mentioned and the way events associated with the term has grown in popularity worldwide and has come to encompass artists books, photobooks, zines, art books and institutional catalogues. Another topic mentioned was the importance of research and critical commentary on the discipline. A suggestion was made for the formation of a ‘double-blind peer review’ collective. 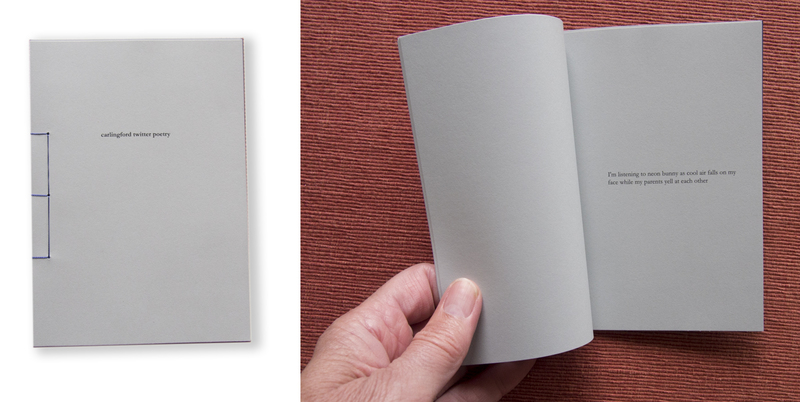 In keeping with the conference theme the community of practice for artists books in this country is supported by the ‘folding’ and ‘unfolding’ of ideas, theories, concepts, access to exemplar book samples and the social connection that ABBE provides. While selected ABBE 2017 papers will be published in JAB, beyond that, the influence and impact of this gathering highlights the need for ABBE to provide this ongoing forum in Australia. Recently in Auckland and Melbourne two groups of photobook aficionadas and aficionados assembled before 31 and 71 books respectively, and worked as a team to decide which of the books before them were exemplary of contemporary photobooks and, if consensus could prevail, which book – in each location, was the ‘best’ photobook. 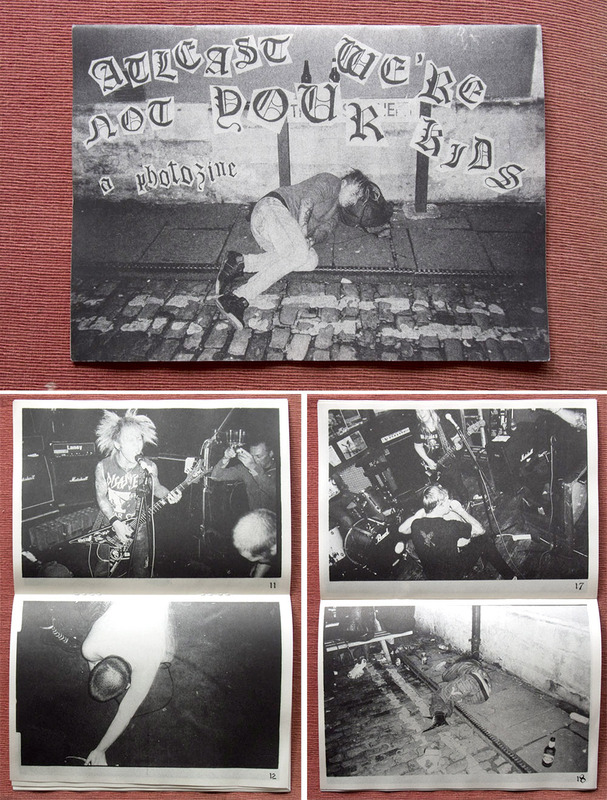 As the definition of a photobook remains broad, from photozines to trade coffee table books, a key consideration for the judging panel is to evaluate the ‘appropriateness’ of the book in the context of its ‘intended purpose and audience’. This aspect of the Criteria creates an opportunity for diverse products to be sensitively and fairly assessed. 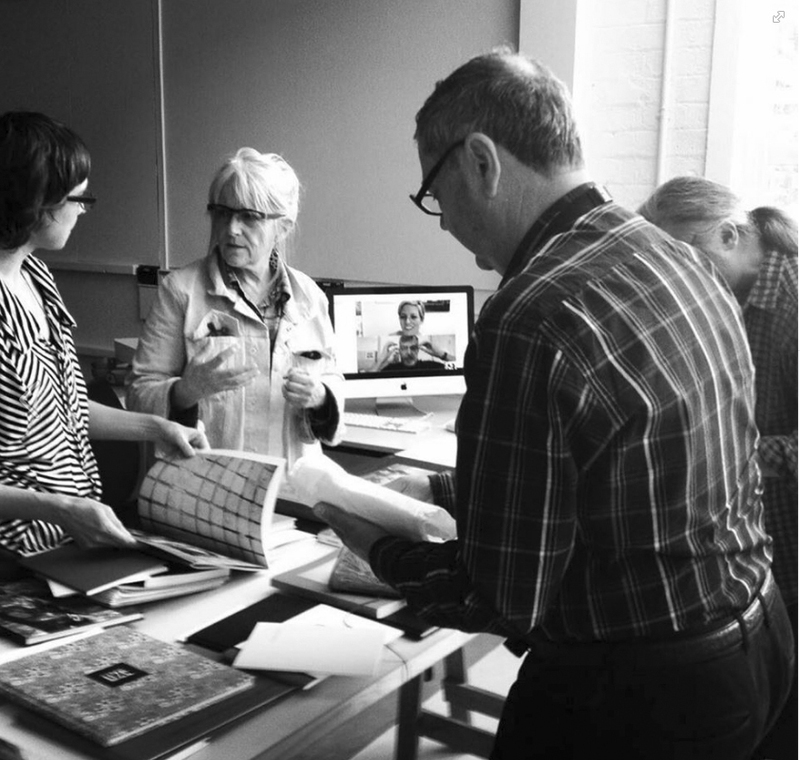 The judging panel is purposefully selected to include experts in photography, design and book publishing. 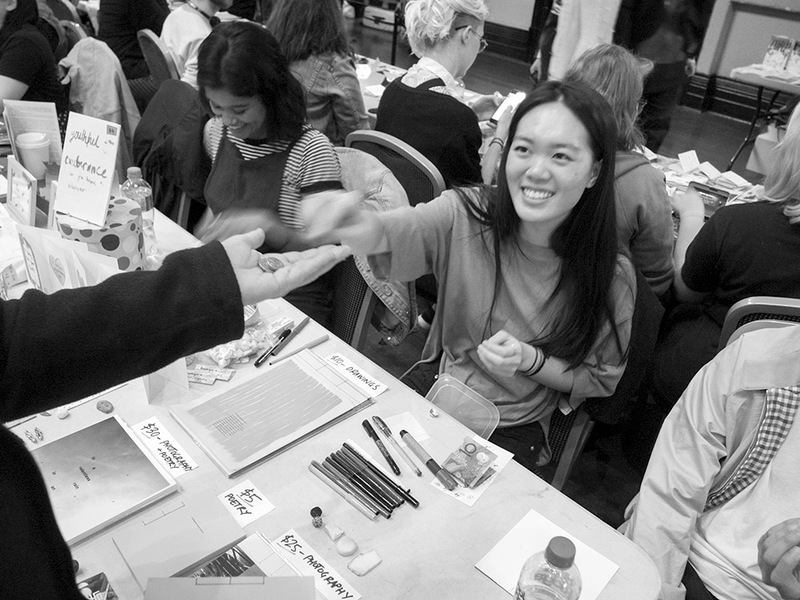 Each year these judges are changed to allow for representatives from different backgrounds, locations, gender, industry areas including design, publishing, media, cultural institution, academia, retail, art and commercial worlds. Additionally judges weren’t allowed to score or advocate for books in which potential conflict of interest may cause problems. 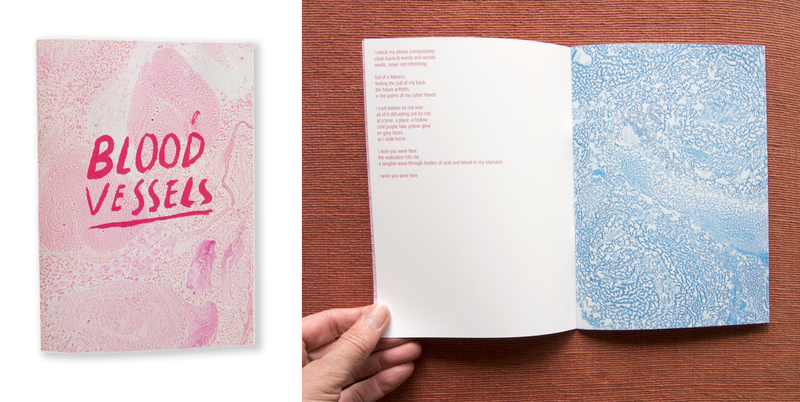 This is a particularly important issue as our photobook communities in Australia and New Zealand are small and connected. Stage 1. A PDF of each book was forwarded to the judges in advance for them to gauge a preliminary impression of the book, its visual nature, content and narrative. Each judge completed a ‘first impression’ top 10 books spread sheet and provided feedback in the form of a comment and score for the books that they had selected. Stage 2. The judges met and participated in some introductory discussions about the award and the processes that were to follow. After that the books were laid out on tables enabling the judges to encounter the physical and haptic experience of each book. Another ‘score sheet’ was provided so that judges could quantify their response to each book. While this review was basically carried out individually some casual discussion took place between judges. Many judges were to comment that seeing the ‘real’ book was surprisingly different from the impression that they had gained from the PDF screen view. Stage 3. The judges score sheets were tallied resulting in a group of books being selected for round-table review and discussion. From this group activity the finalists were determined. In the AuPOTY 12 books were selected and in NzPOTY 10 made the finalist list. It should be noted that judge/s disclosed any involvement or potential conflict of interest with particular books or association that they may have with the author. Stage 4. In this, the final stage, the judges debated the relative attributes of the books working towards a point where consensus over the ultimate winner could be determined as well as any books deserving of ‘Commended’ awards could be made. This stage of the process was interesting to participate in or to observe, as the many differing opinions of what constitutes the ‘contemporary photobook’ made for a lively and informative debate. STAGE 5. In each country visitors to the AuNzPOTY exhibitions in Melbourne, Sydney and Brisbane are invited to vote for their favourite book, and the winner receives $500 cash + $2,000 printing credit with Momento Pro. 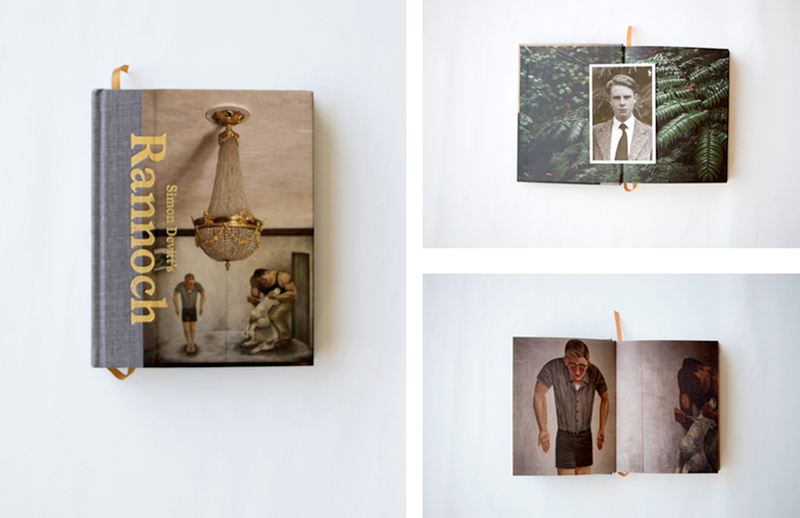 The winner will be announced via a Photobook of the Year Awards email later in the year. Subscribe at awards@photobookoftheyear.com.au. As a witness to one of the judgings (AuPOTY), and a participant judge in the other (NzPOTY) I have reflected on the process and the salient issues, topics and well-discussed points and prepared this comment piece. I might add that these are based on my recollections of the proceedings as well as my personal thoughts gained from my involvement. 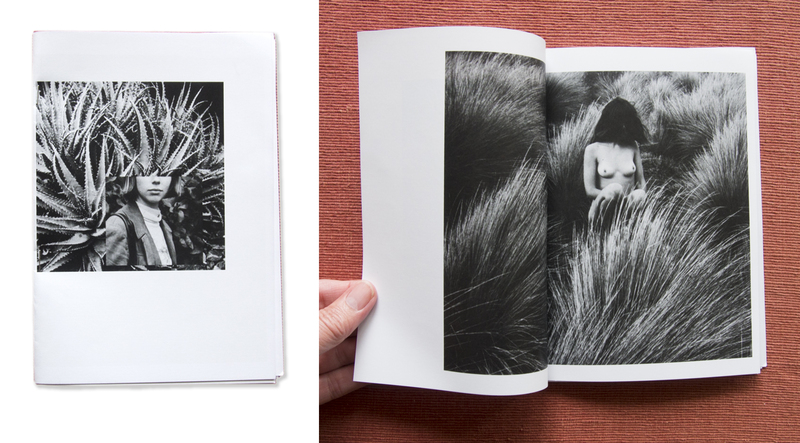 The universal definition of what is a photobook remains illusive. What judges think, what the entrants or others may think is a photobook may never be resolved. 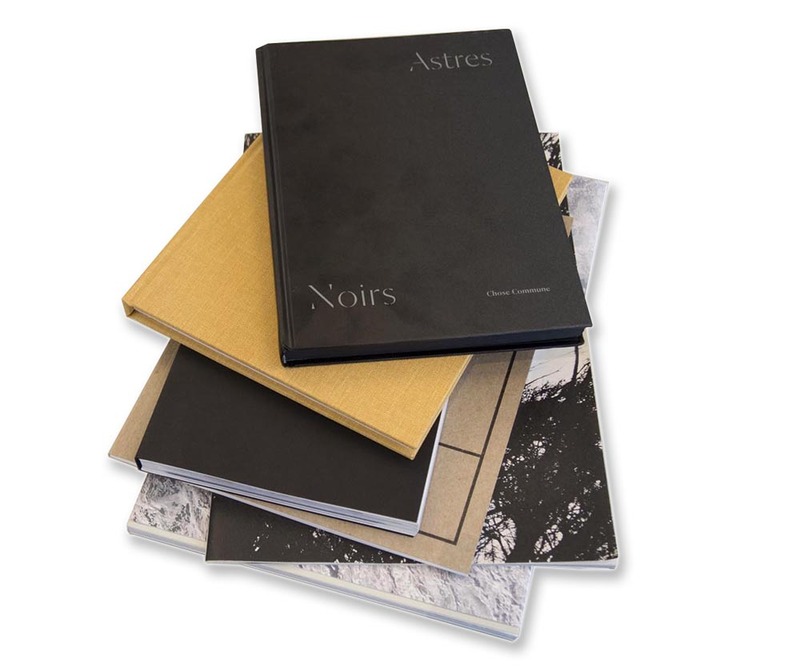 Although the perception of what a photobook might be does effect every aspect of the awards influencing who might enter and what their expectations of the award may be. 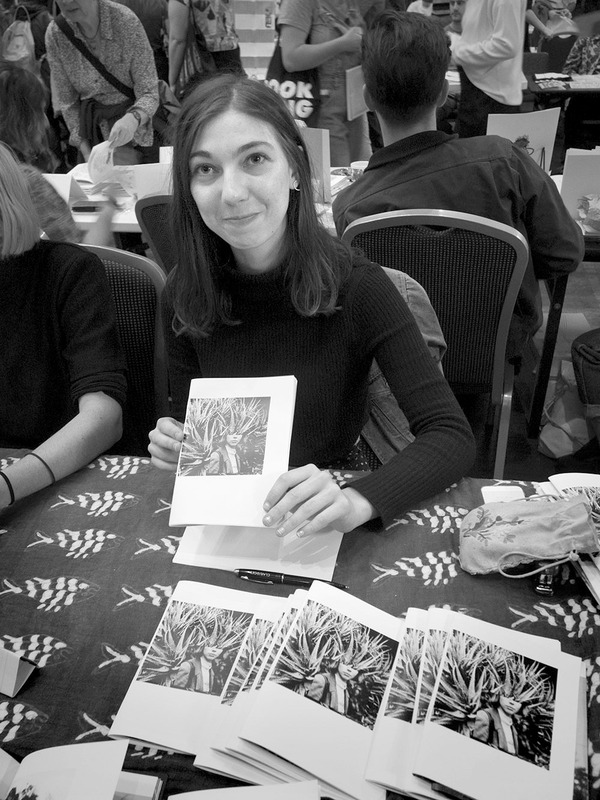 Also what is the nature of the selected finalists, and what book wins the awards, sends out a message to the broad range of people interested in photobooks to confirm or challenge their idea of what a photobook is. Who made the book? Is it self-published? Or was it trade published? Was it a collaboration – did it involve a single photographer or multiple photographers with editor/s, publisher and designer/s? As all have a bearing on the book as a creative product or a commercial outcome. What was the purpose for the book…? Is it for general consumers, niche markets or a personal record bound in book form? Much discussion centred around concepts relating to design style, tricks of printing and binding, different papers, round fore edge corners, trendy layouts, typography, embellishments and packaging. Some books were considered derivative as certain features were part of last year’s trend or were recognised as being influenced by/taken/copied/borrowed from a recent well-known successful book. Therefore books with original concepts were held in higher esteem. The question begs to be asked… at what point do any of these ‘derivative’ features become recognised as a visual style/form or narrative effect that contributes to the book communiqué? The meaning and implications of collaboration. Artist’s statements were often poorly written, or overtly academic ‘artspeak’. One important consideration was that the book was as a total package where all of its components; concept, content, design, production values and binding were seen as creating a total creative entity. 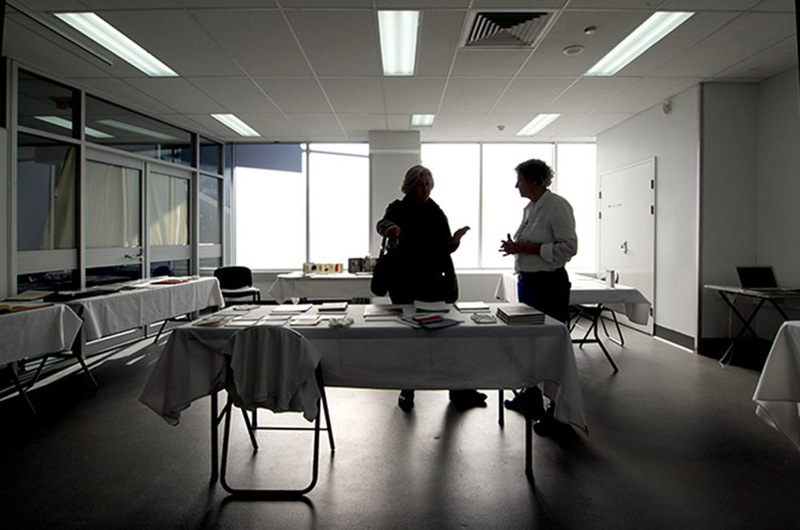 The Patrons for Australian and New Zealand Photobook of the Year Awards are Libby Jeffery and Geoff Hunt of MomentoPro. They have funded prizes, coordinating the judging process: including judge selection, announcement events and exhibitions. 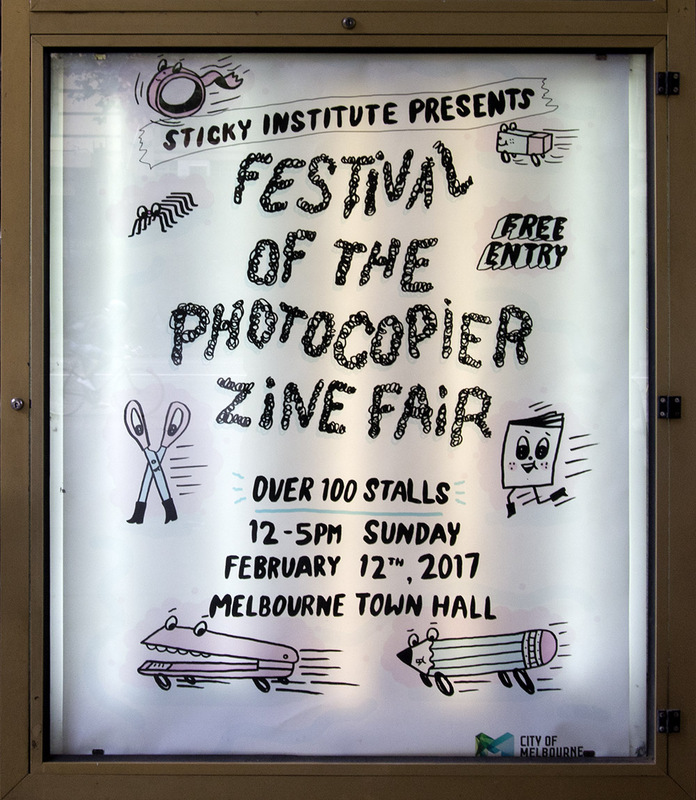 Partners in the awards include Heidi Romano from Unless You Will, Photography Studies College Melbourne and in New Zealand f11 Online magazine. 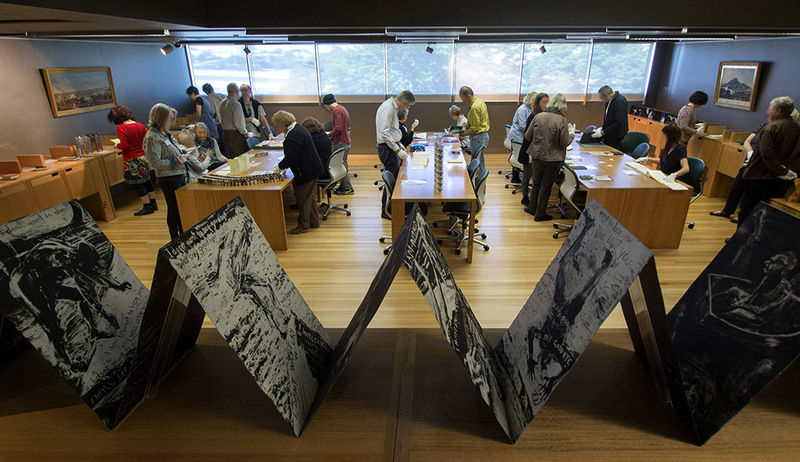 Over 6 years these awards have championed photobook publishing activity and discourse and as such created a record of contemporary photobook practice in the antipodes. The Australian and New Zealand Photobook of the Year 2016 will tour nationally in 2017… Visit the Photobook of the Year website for details. Disconnection is a solo show by Brisbane photographer Thomas Oliver. The series consists of work that has been captured in London, New York, Toronto, Paris and (of course) Brisbane. The exhibition is accompanied with a catalogue essay written by Dr. Doug Spowart. Experiencing the ebb and flow of life in a capital city, it is easy to become consumed by the gurgling hum of activity. It sparks and pulses like an amped-up generator. We slip from one task to the next, leaving ourselves behind in the process. The lights flicker and the air vibrates warmly around us. And like a mad hive, our cities swarm with ghostly forms, smoothly transparent and faceless. What makes photography a strange invention – with unforeseeable consequences – is that its primary raw materials are light and time. John Berger died last week. 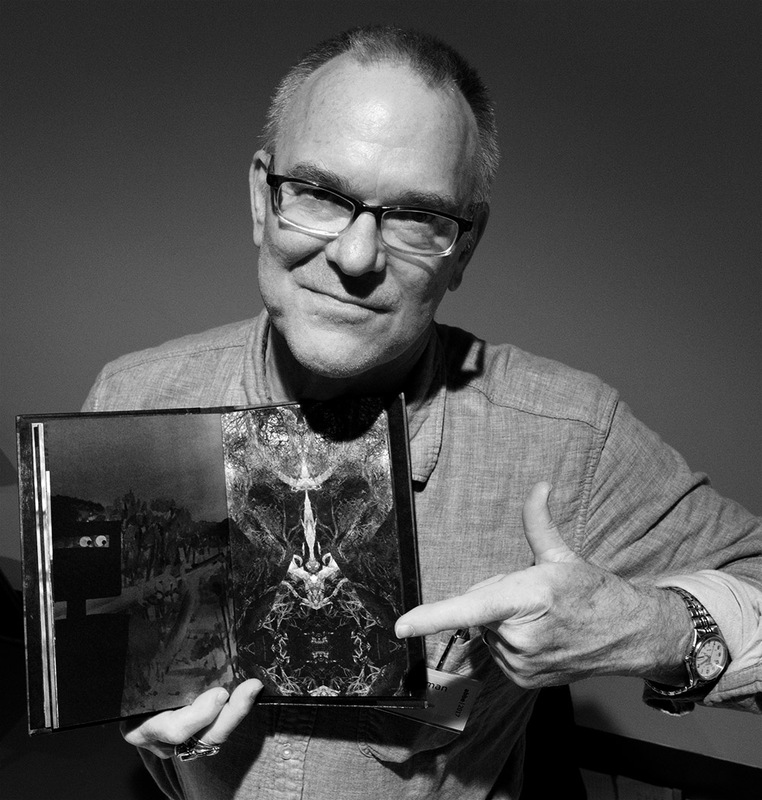 But his work will continue to reveal insights on how we perceive photographic communications. Even now I continue to hear his words in my head as I write. Most of the time his voice inhabits my writing, saying the words that I have just typed. His writing and critical thinking offered new ‘ways of seeing and looking at photographs’ – as ‘quotes’ from appearances, photos and memory. The photograph presents to us information that has connections to a reality as in Berger’s assertion, ‘A photograph arrests the flow of time in which the event photographed once existed’. 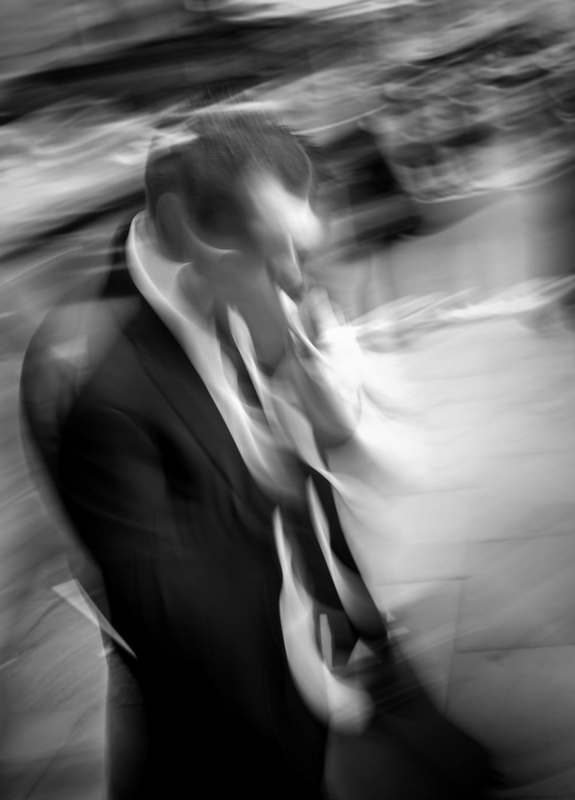 But what happens when the photographic moment is slurred by slow shutter-speeds, movement of subject and camera panning? In this approach Thomas Oliver creates visual documents that could never have been seen by the photographer or an observer of the scene. These are documents of not a moment but of time passing. They transcend the instantaneous moment and suggest a visual concept of the subject’s spirit seemingly extracted by the act of photography–a tear in temporality ‘arrested’. 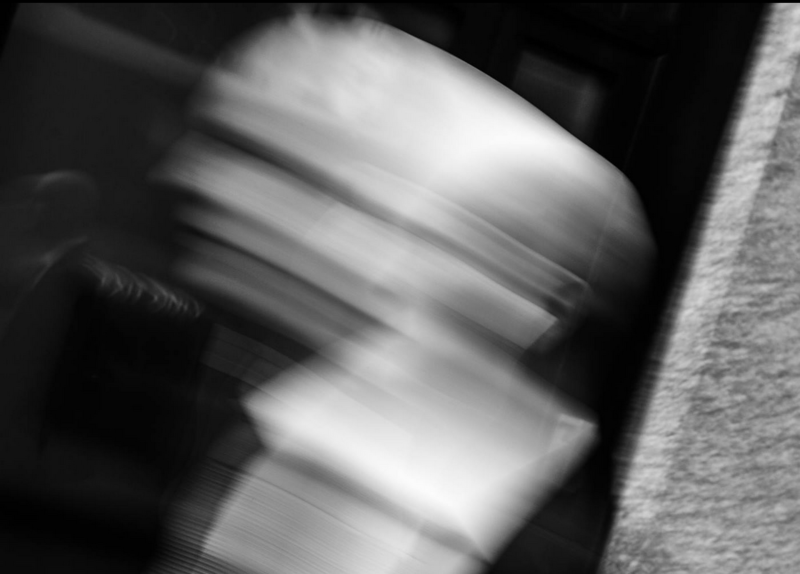 Oliver’s images also have a resonance with Gilles Deleuze’s discussion on Francis Bacon’s work in his 1981 book Francis Bacon: The Logic of Sensation. Deleuze highlights how ‘chance’ and the expressiveness of the random and indiscriminate effects of vigorous brush strokes inform Bacon’s painting. 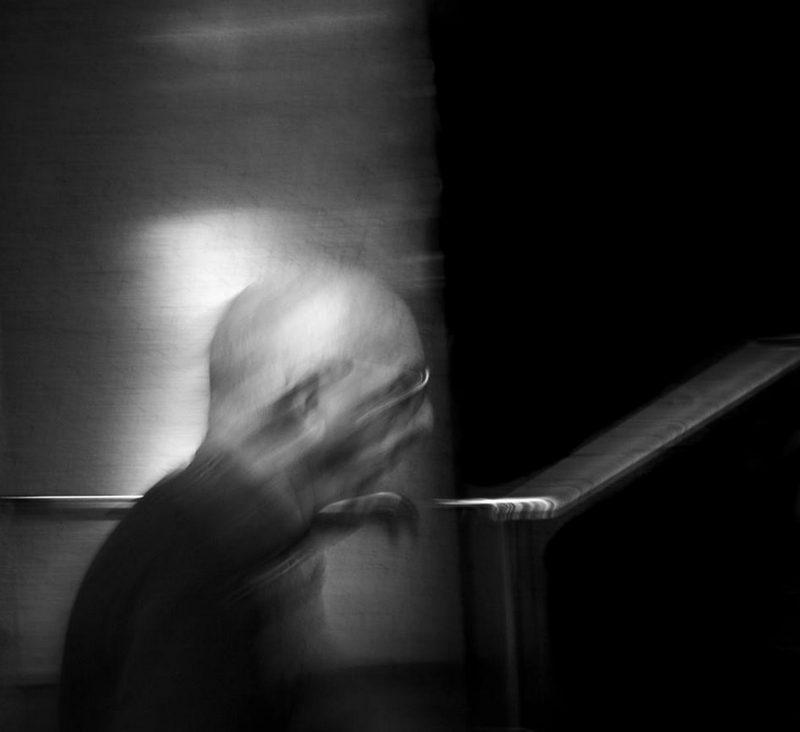 Deleuze proposes that: ‘there is no chance except “manipulated” chance, no accident except a “utilized” accident.’ In making his photographs Oliver has no way of knowing what each slow shutter release will reveal. He relies on his understanding of technique during the process of exposure to realize the potential for an evocative outcome. 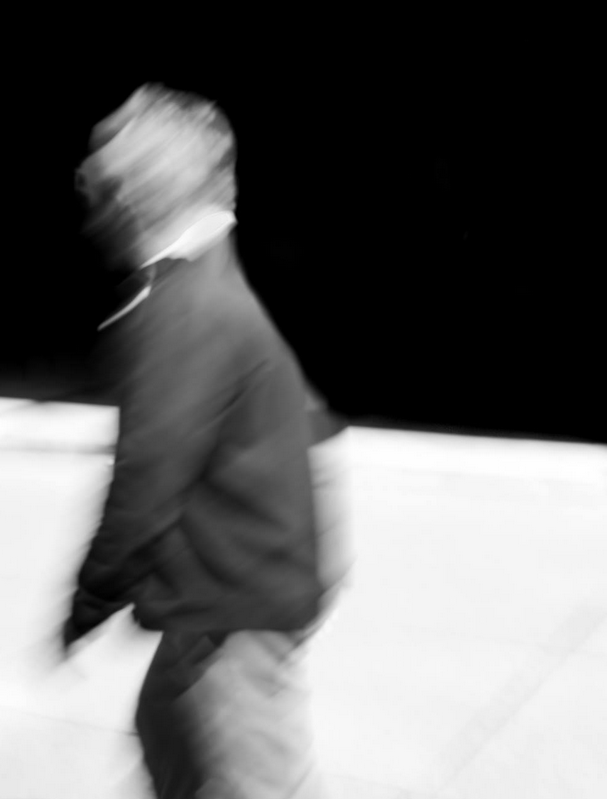 For me Oliver’s photographs are based on the ‘manipulated chance’. He is ready to respond with the tools photography to capture the phenomenon of light and time in everyday places frequented by people. His work seems to also rely on his acceptance of ‘utilized accidents’. It is from this principle that his moments of strange and powerful visual poetry come into being. The modern illusion concerning painting [I read photography here]. . . is that the artist is a creator. Rather he is a receiver. What seems like creation is the act of giving form to what he has received. I respectfully present to you – Thomas Oliver’s Disconnection photographs of simulacra from the street. Berger, John. “Appearances/the Ambiguity of the Photograph.” In Another Way of Telling: A Possible Theory of Photography, 47-52. Malden, MA, USA: Blackwell Publishing Ltd, 2002. I refer also to Francis Bacon’s paintings based on Diego Velázquez’s Pope, Portrait of Innocent X (1650) and his portraits of friends, for example Three studies for a portrait of Lucien Freund (1964). Deleuze, Gilles. Francis Bacon: The Logic of Sensation. Translated by Continuum. Continuum Edition ed. London: Continuum Books, 1981. Editions de la Difference. Berger, John. The Shape of a Pocket. London: Bloomsbury Publishing, 2001.